A Practical speaking workshop that improves human-to-human communication, increases retention of ideas and inspires action. We often don’t have a week, or even a day, to write and deliver a speech – we must be able to do it on the spot. Do you feel confident talking to a group of people? Are you required to give talks to staff and customers? If you could learn to be more effective, persuasive and professional in your speaking would this positively impact your career/ business? Stop boring speeches that ramble on and put the audience to sleep. Our ability to share a powerful message and inspire the listener to take action is essential to success in business. When you speak is your message clear, heard and acted on? A practical speaking workshop in which you will learn how to deliver your message, how much information to put in it, how to simplify a complex idea and how to deliver it so they hear it, embrace it and act on it. 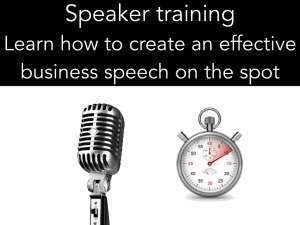 Inspire your audience to action – Transform Your speaking – Learn how to write a speech in 10 minutes. Improved teamwork due to the power of stories in breaking down barriers and balanced feedback. Teams improve internal communication as they learn to relate as people, not just as roles and they understand the power of feedback to improve performance. Venue: Training can be conducted in-house, or at a venue of your choice. Cost: Contact us today for a custom quote. Understand how to structure a clear and engaging message. 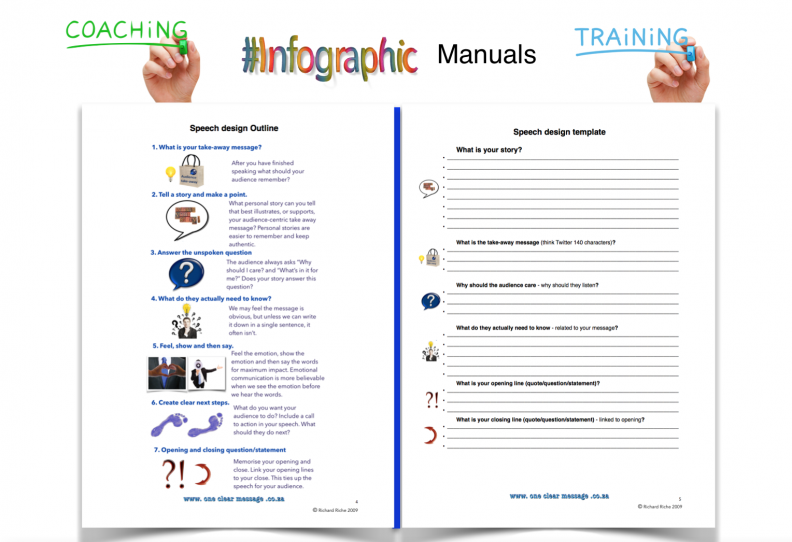 Create a speech and deliver it effectively using a simple template. Improve vocal variety and body language skills. Use stories to engage and increase understanding. Think and respond on their feet during the talk. Target Group: Applicable for sales people, trainers, team leaders, managers, influencers, technical teams, and those who desire to build confidence in speaking and presenting. Anyone who needs to share an idea or message, have the audience understand the concept, and take action. For a practical speaking workshop which will increase your confidence and speaking skills contact us now.